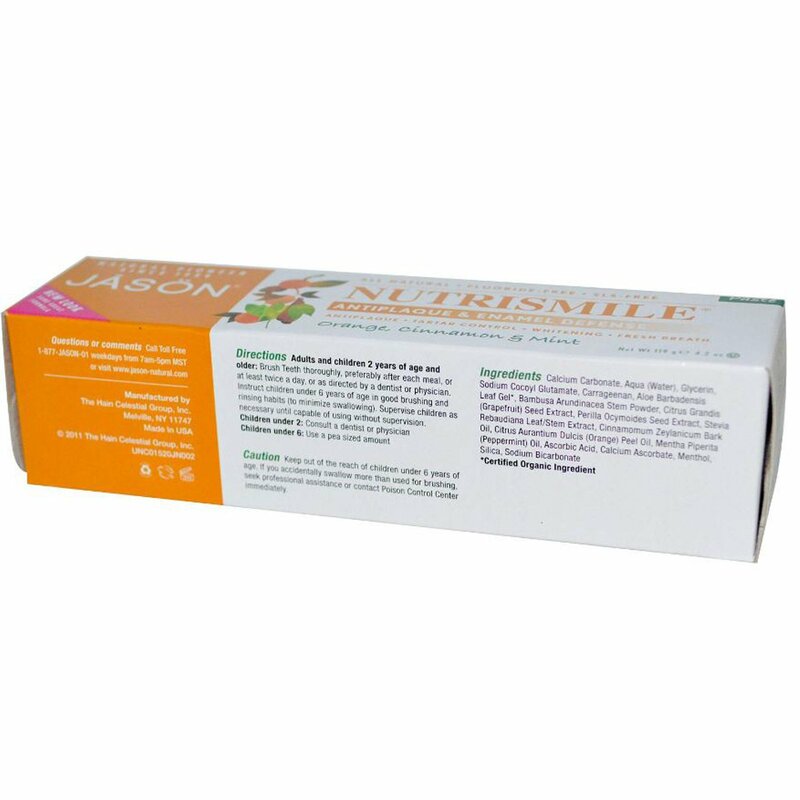 Nourish Your Smile and Defend You Enamel, Without Irritating Chemicals. 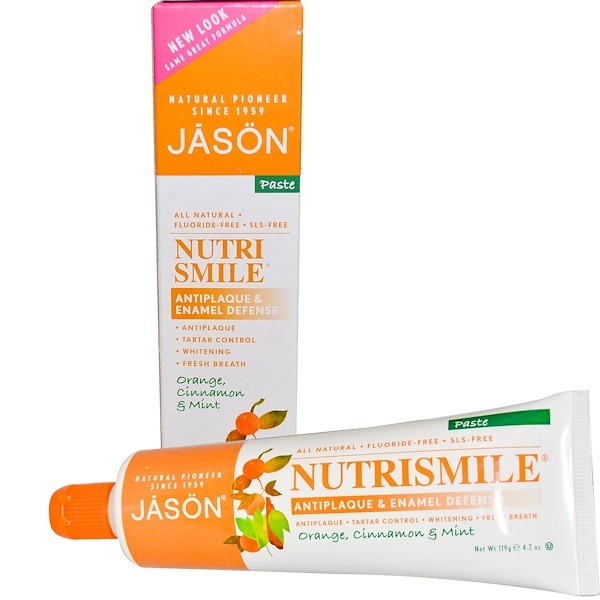 NutriSmile Toothpaste is a nutrient-rich, daily defense to keep your teeth and gums healthy and strong. High potency Vitamin C strengthens tooth enamel by helping rebuild weak spots on teeth. Our exclusive blend of natural polishers cleans and brightens teeth without harsh abrasives. A refreshing burst of Natural Orange, Cinnamon & Mint freshens your breath instantly. For enamel defense plus fresh breath, use Jason NutriSmile toothpaste and mouthwash twice a day. Adults and children 2 years of age and older: Brush teeth thoroughly, preferably after each meal, or at least twice a day, or as directed by your dentist or physician. Instruct children under 6 years of age in good brushing and rinsing habits (to minimize swallowing). Supervise children as necessary until capable of using without supervision.